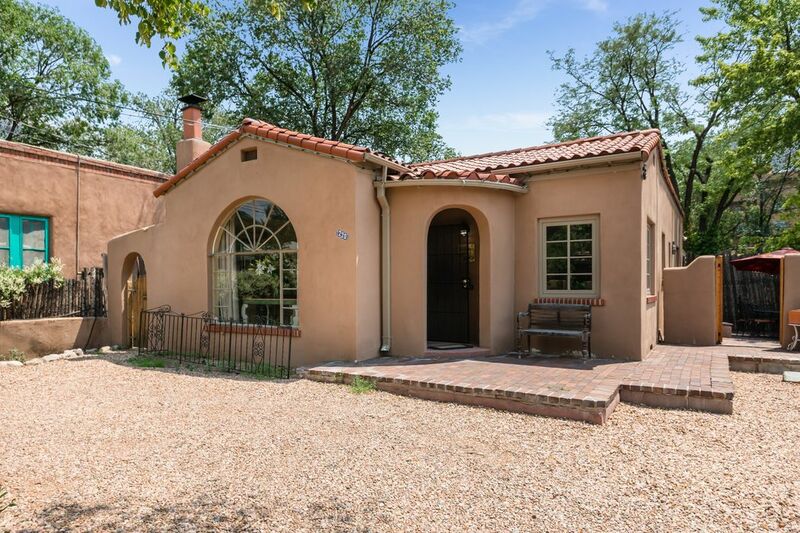 220 Mckenzie Street, Santa Fe, NM 87501 | Sotheby's International Realty, Inc.
$642,000 2 Bedrooms2 Full Baths1,038 sq. 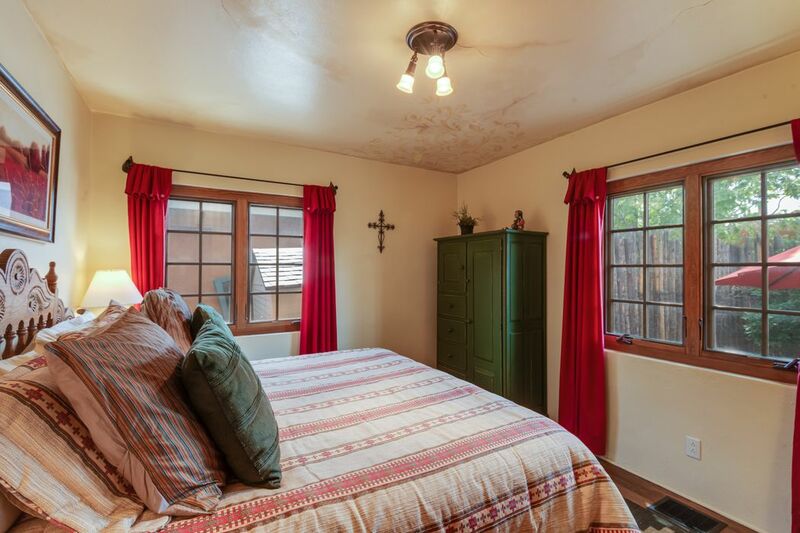 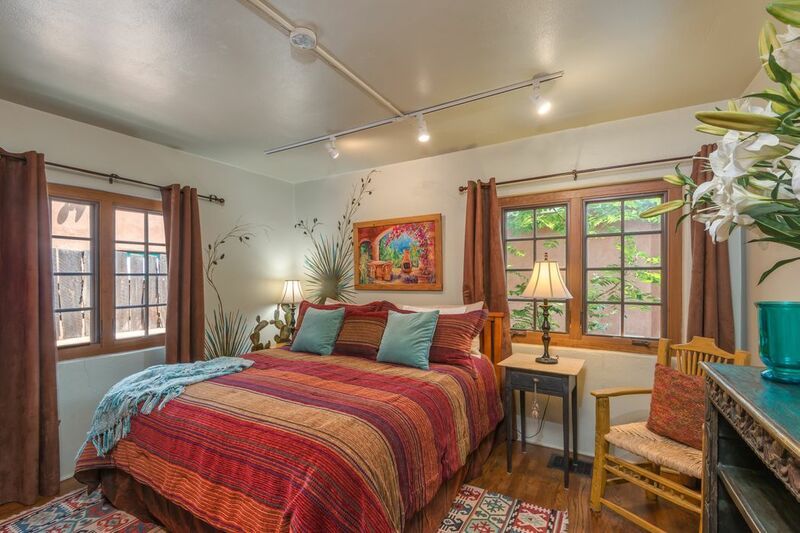 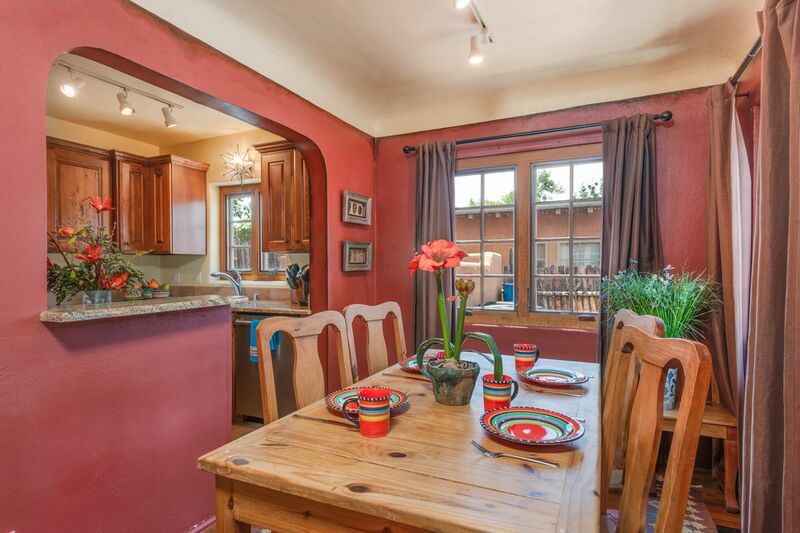 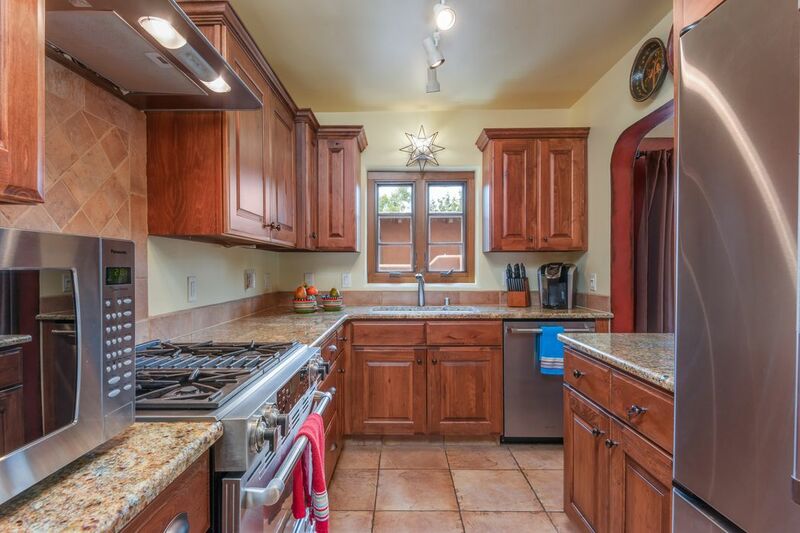 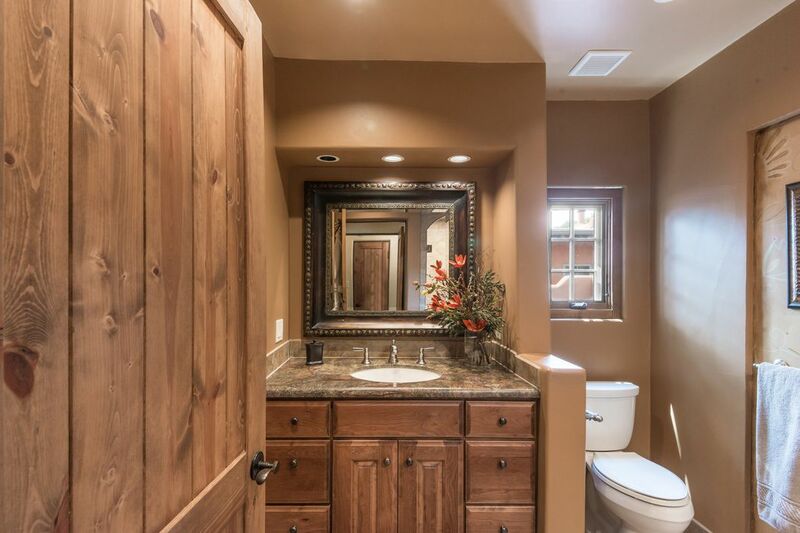 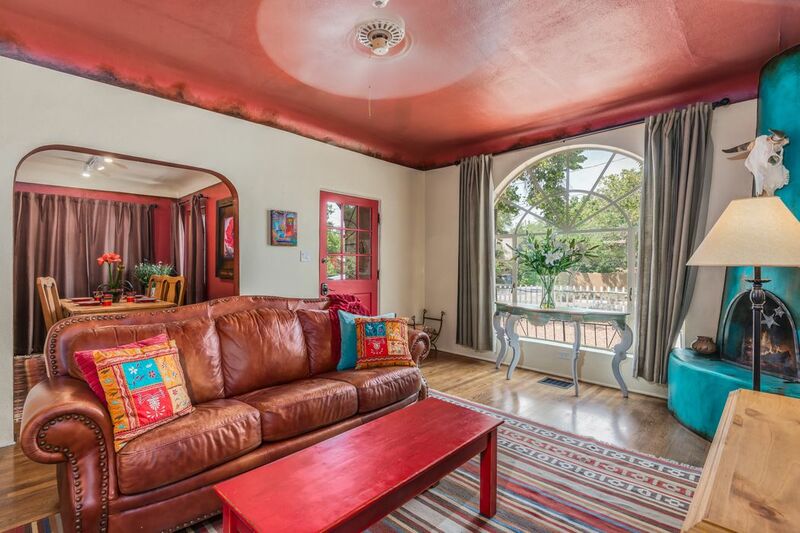 ft.
Superbly located in the heart of downtown Santa Fe, approximately three blocks to the historic Plaza. 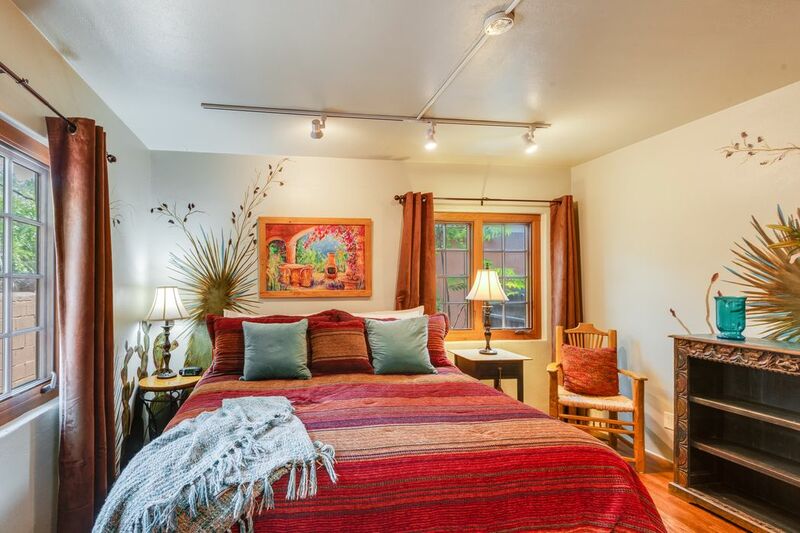 This darling two-bedroom, two-bath bungalow style-condo has been extensively remodeled to provide modern conveniences. 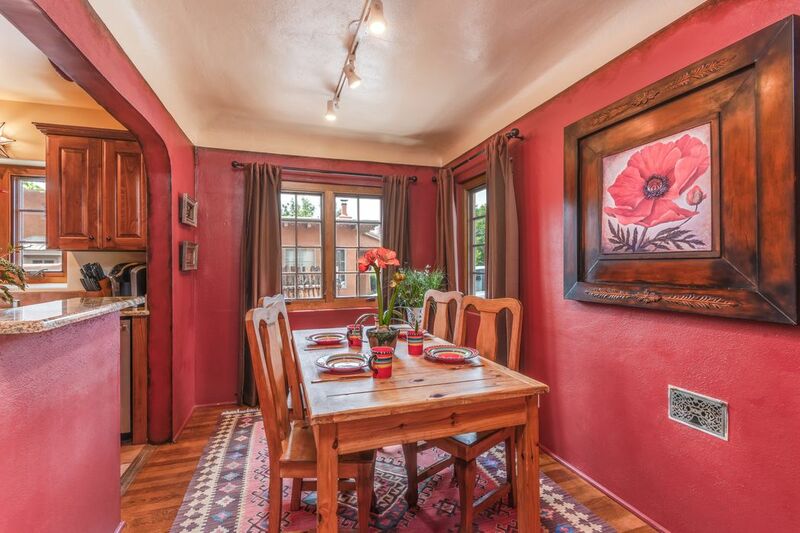 The home is decorated with whimsical murals and other custom artistic touches throughout. 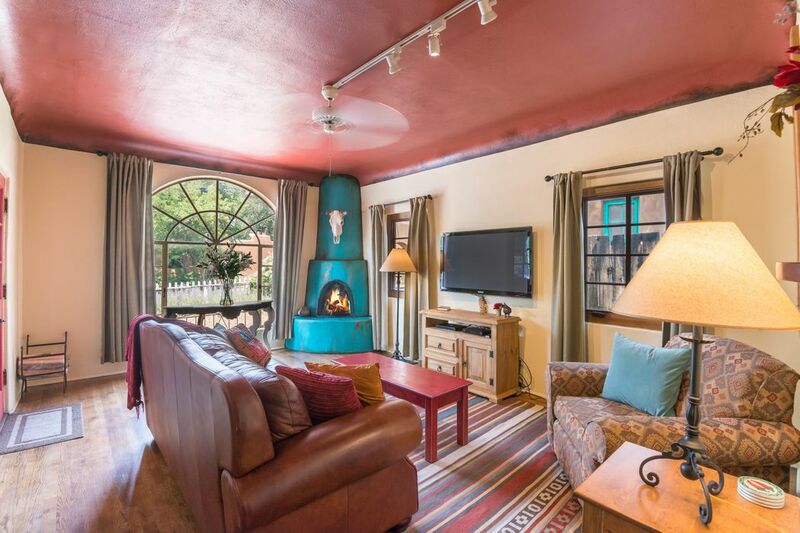 Authentic Southwest elements include a large kiva fireplace, arched doorways and openings, and a beautiful palladium window that washes the living room in natural light. 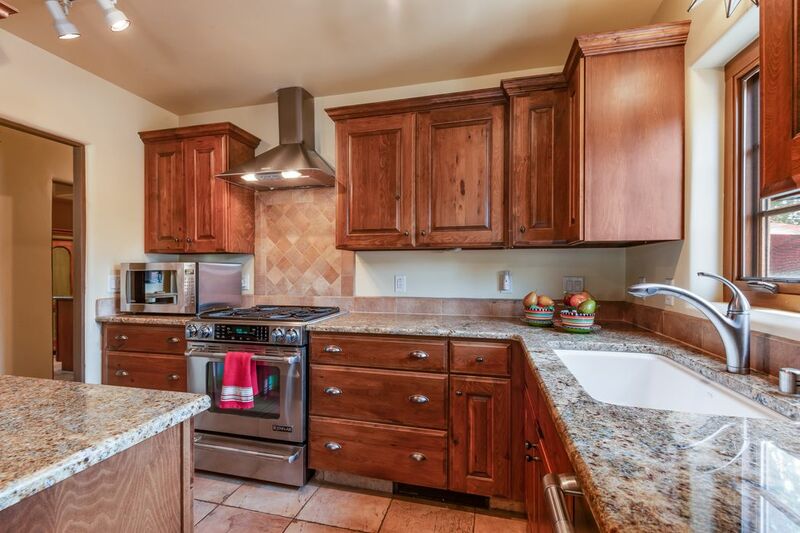 Custom cabinetry, stainless steel appliances and granite countertops are hallmarks of the kitchen, which is conveniently open to the dining room. 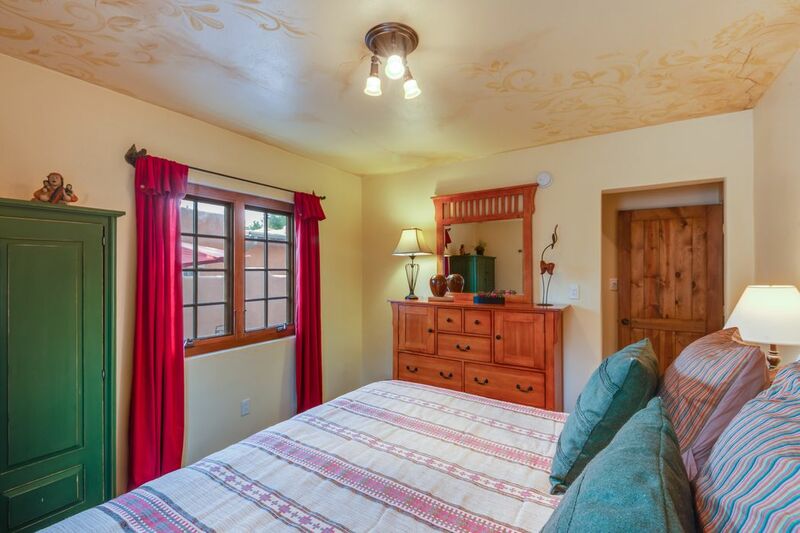 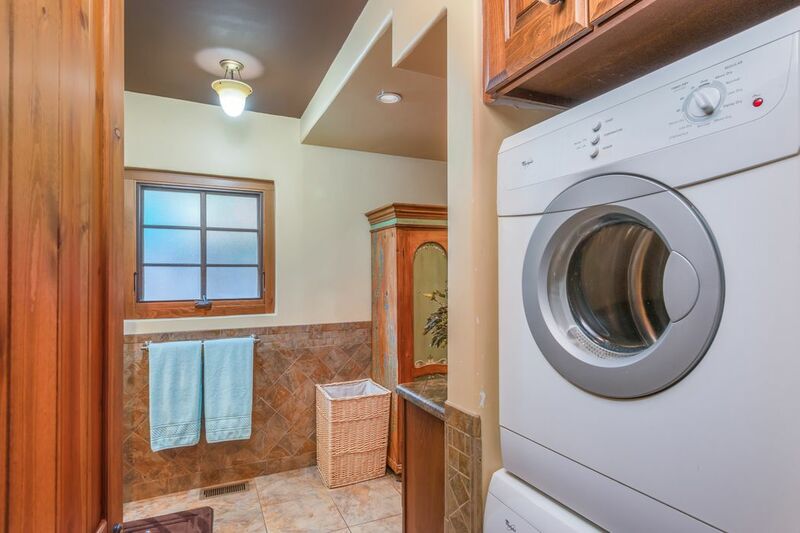 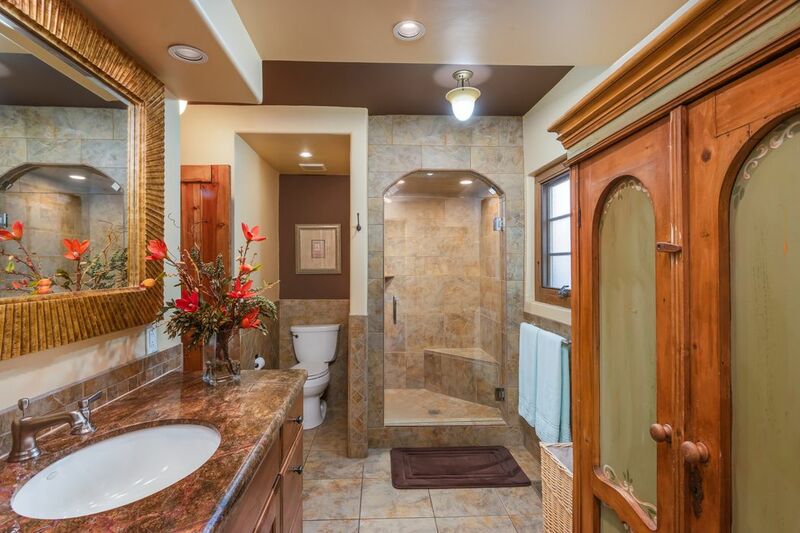 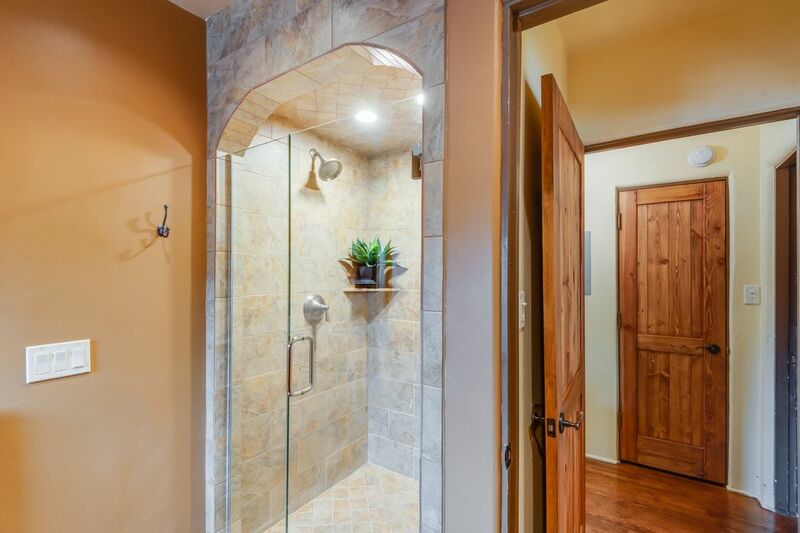 Both bedrooms have access to a private bath, each of which boast large walk-in showers with tile surrounds. 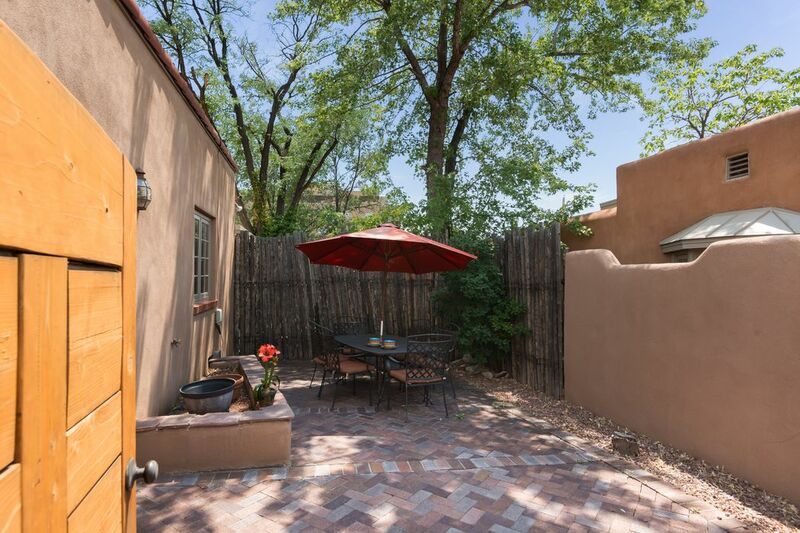 A private, walled brick patio provides the opportunity for al fresco dining. 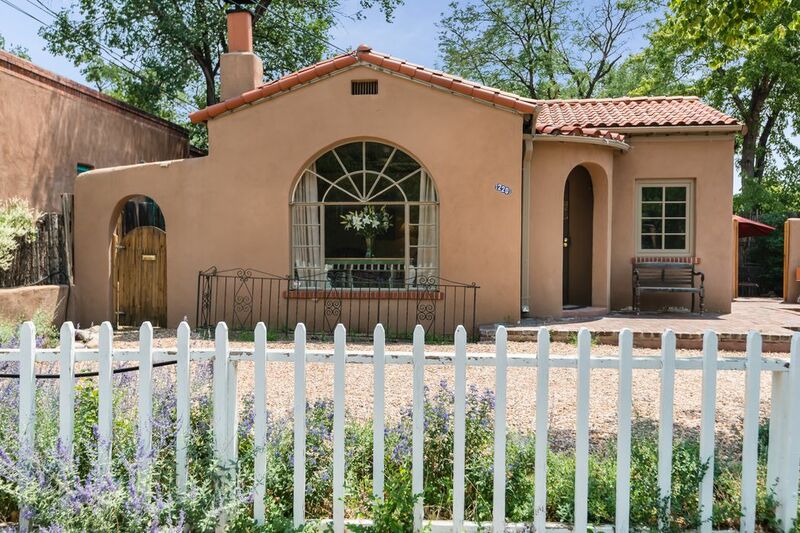 With easy access to galleries, restaurants and cultural events, this is a great property, whether you are looking for a pied-à-terre or to explore rental possibilities in downtown Santa Fe.